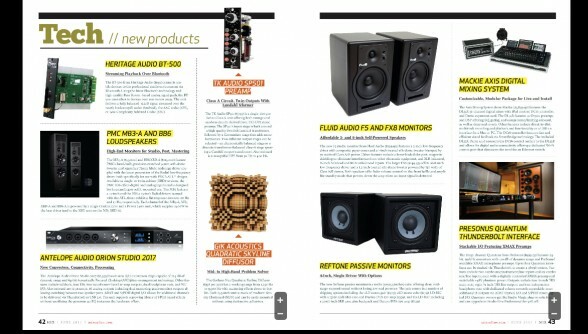 Check out the new Reftone model 2LD featured in the Tech New Products section of Mix Magazine June 2017 edition! We’re thrilled to have our new model featured and it announces our new Amp Packs too! Now we offer the reference power of 2LD speakers in the LD-8 Amp Packs (large and small) that include a 40W Dayton power amplifier and cables, a ll in a waterproof SKB case.